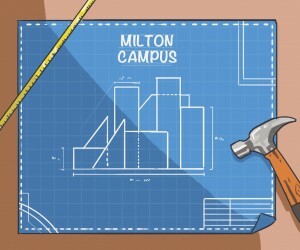 The likelihood of Wilfrid Laurier University building a satellite campus in Milton has seemed greater as of late with the commitment Milton made to provide 150 acres for a campus to be built on. Despite developments that seem in favour of the campus, not everyone feels positively about this. Jonathan Finn, chair and associate professor of communication studies, expressed concern that a campus in Milton would draw students from Waterloo. In the fall of 2013, 7,813 students out of 15,319 attending the Waterloo campus were from the Greater Toronto Area, according to the Laurier registrar’s report. This included the counties of Durham, Halton, Peel, Toronto and York. With news of the declining numbers in enrolment Laurier experienced at both its existing campuses this year, this is a major concern for Finn. Finn’s second concern was the additional workload the Waterloo and Brantford campuses would have to contribute in order to actualize Milton. People will need to be hired, for example, and curriculum will need to be set up. “That work is going to have be done by people and it’ll be done by the staff and faculty at Brantford and Waterloo campuses,” he continued. He also pointed to the budget cuts Laurier is currently undergoing due to the university’s deficit. “It’s this kind of paradoxical situation where we’re being told that financially we’re in tough times, yet we’re going to open a new campus,” Finn said. According to Brian Rosborough, senior executive officer at the Brantford campus, having a satellite campus in Milton would benefit both the Waterloo and Brantford campuses. “The view at the university is that if we have an increased presence in the GTA by being in Milton, we have more students in that market who are going to be exposed to what Laurier stands for; the opportunities Laurier provides,” he said. Rosborough also said the satellite campus would be good for the university’s financial sustainability. “It’s clear that the government wants an expansion of spaces in the GTA, so for us to sit on the sidelines and not be a part of that I think would raise questions — more serious questions — about our sustainability and making sure that we’re participating and being a part of that growth,” he explained. In terms of whether the university has attempted to address concerns that staff and faculty might have about the way a campus in Milton would impact the existing campuses, Finn said there has been some effort. The Brantford campus draws 32 per cent of its students from the GTA. Brantford mayor Chris Friel explained that should a campus be built in Milton, he would be concerned it would split the focus of the university. “Then we get into competition with Milton,” said Friel. Rosborough noted that while having a campus in Milton might draw some students in the GTA to attend university closer to home rather than at Waterloo or Brantford, there are many other factors that go into choosing a campus. “I think many reasons students choose a particular location are highly complex,” he continued. Proposals for satellite campuses are due to the Ministry of Training, Colleges and Universities on Sept. 26. Pending approval, plans for Milton will move forward. 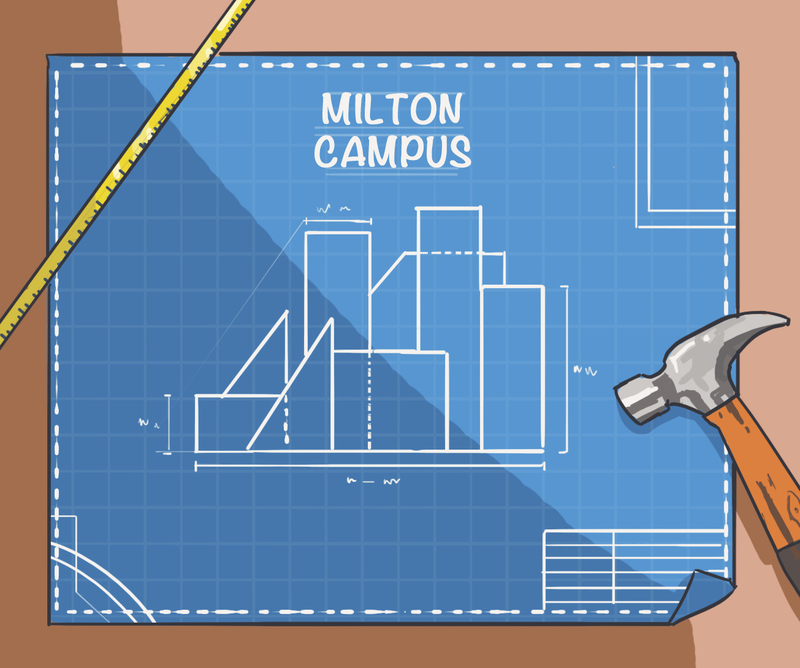 “I would like to see the Milton campus not be built,” said Finn. Finn continued that many faculty and staff he speaks with have similar feelings about the Milton campus.